Determined to educate & help drive adoption of social media in the B2B/wholesale sector, this UK Wholesale Community has launched a free eBook & created social media networking hubs aimed to bring its 100,000+ members closer & more socially engaged. Does Your Business Need to be on Facebook? Wholesalers just don’t grasp the value of social media. We think this eBook & networking directories will help drive social media adoption. The UK’s leading online B2B networking community, The Wholesale Forums, recently launched a Facebook guide aimed towards wholesalers, importers, retailers, and service providers. Does your Business Need to be on Facebook? explains why businesses should harness the power of social media as an essential marketing channel. Key takeaways from the exhaustive guide include how to promote your eBay listings on Facebook, using Facebook to discover and connect with customers, and bonus tips on optimising and getting the most out of your Facebook Page. The eBook which launched in January 2012 has already reached over 1,000 downloads and has been featured on influential sites and communities such as Tamebay (the UK’s leading eBay & E-Commerce blog) and Salehoo (a leading wholesale directory), as well as top service and merchant sites Parcel2Go and Simply Wholesale. Does your Business Need to be on Facebook? is available free to registered members of The Wholesale Forums (membership is also free). In conjunction with the eBook’s successful launch, The Wholesale Forums also developed two social media hubs for Facebook and Twitter, encouraging wholesale traders, retailers, dropshippers, and buyers to share, connect, and engage via these social platforms. TheWholesaleForums.co.uk provides free business support, trading advice and networking opportunities to over 100,000 trade buyers and suppliers from across the UK and Central Europe. Founded in July 2004, TWF is well established as the UK’s leading independent B2B community. TWF features discussion forums, product and supplier sources, networking directories and a marketplace for buyers and suppliers to trade goods and services. 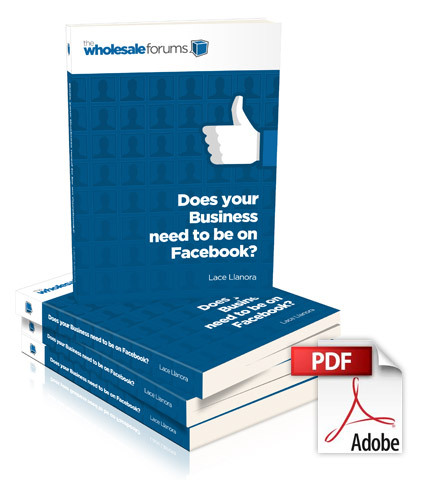 Facebook has over 800 million membersThe free eBook by The Wholesale Forums aims to solve the mystique surrounding how businesses operating in B2B/wholesale can leverage social media to bring about ROI. Does Your Business Need to be on Facebook?The free eBook launched by The Wholesale Forums explains why businesses should harness the power of social media as an essential marketing channel. 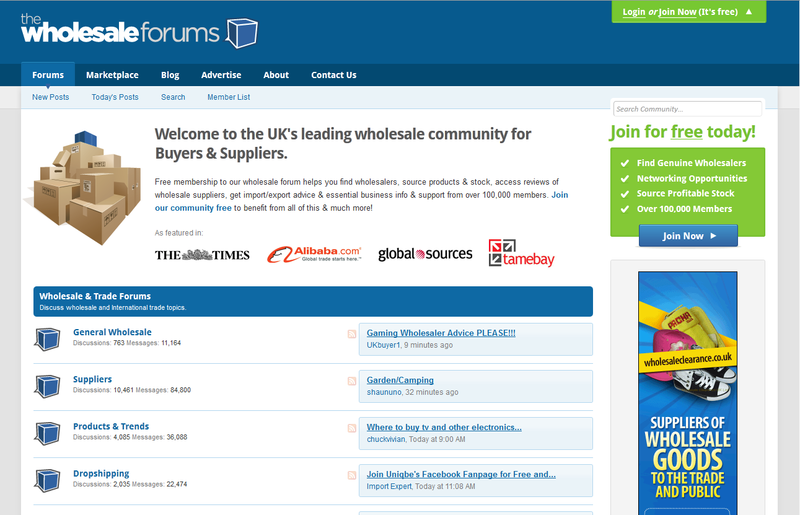 UK Wholesalers ForumThe Wholesale Forums is the UK's leading independent wholesale community serving over 100,000 members free business advice & vital safe-trading tips.